The Dubai Road and Transport authority’s Self-driving Transport Strategy has been approved by HE Mattar Al Tayer, Director-General and Chairman of the Board of Executive Directors of RTA. The Strategy is aligned with Dubai&apos;s Smart Transport Strategy and it aims to convert 25% of all journeys in Dubai into self-driving journeys by 2030. The self-driving strategy is inclusive of all mass transit modes such as trains, buses, marine transit modes and taxis, as well as private vehicles. RTA’s strategy also includes plans for a first-of-its-kind global contest between companies, which have made significant advancements in the field of smart transport and self-driving. The details for this would be announced later on. RTA seeks to develop and introduce a range of enablers in parallel to realise the objectives of the self-driving strategy. These include enacting legislations and rules for self-driving transport, enhancing public adaptability to this technology, developing the appropriate conditions & regulations for testing & licensing of self-driving vehicles, chalking up a structure for related insurance & liability, and addressing infrastructure requirements. Enablers would also include development of a framework for cybersecurity and technology-driven communication system to ensure effective communication & interaction between vehicles. High-definition e-maps would also be developed to avail the benefits of technologies and handle a variety of geographical & climate conditions. The availability and effective sharing of comprehensive real-time and accurate information would play a crucial role in the success of the Dubai Self-driving Transport Strategy. The recently opened Enterprise Command & Control Center (EC3) would play a key role in this area. It utilises technologies such as big data analytics, artificial intelligence and 3D mapping to better monitor, forecast and manage the movement of people and means of transport. To drive research and development (R&D) in self-driving technologies, RTA has forged effective partnerships with renowned global entities and varsities, and entered in consortiums with global universities & research centres. 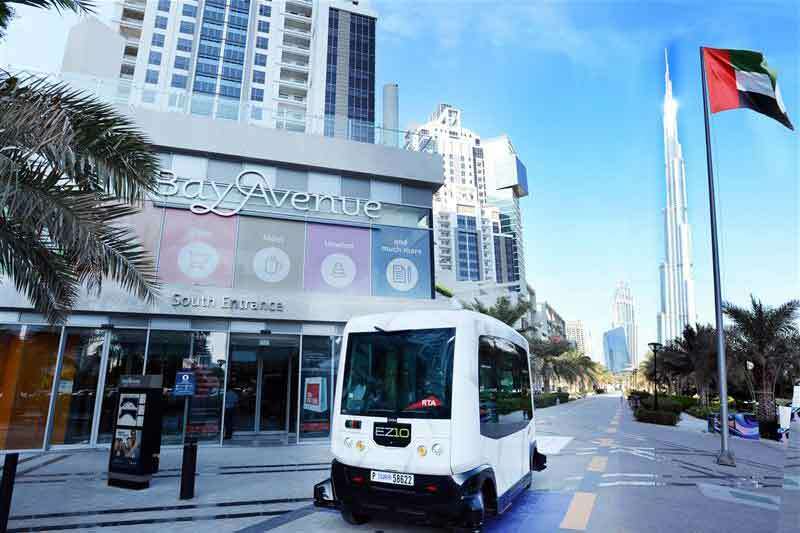 “This strategy is part of Dubai Government’s ongoing efforts to improve services and introduce the latest in technology & innovation worldwide in the field of self-driving transport for the sake of adding happiness to people. RTA’s Smart Transport Strategy assists in planning journeys to multiple destinations using gadgets and smartphones. The strategic projects & initiatives of RTA are instrumental to reducing mobility costs, improving traffic safety, and curbing pollution by cutting carbon emissions. They also raise productivity per capita, ease parking congestion, and achieve the integration with Dubai driverless metro, which is characterised by its high punctuality and cost-effective operation,” noted Chairman Al Tayer. In April 2017, Dubai concluded its third successful trial of a Smart Autonomous Vehicle for public transport.